If you want to be filled with wisdom, look to Jesus. If you want to be filled with love, look to Jesus. If you want to have the power to love, look to Jesus. If you want a love that is wise and good and patient and pure, look to Jesus. Every marriage partner must spend quality time alone with Jesus every day so that He can take away their worries and fears, their doubt and their guilt. So that He can personally tell them how to relate and what to do and what to say. So the first and most important key is Jesus. Jesus is love. Jesus gives us the ability to love. Jesus shows us how to love. The love of Jesus, called agape love, has a height, a depth, a length, and a breadth that only He can give us. The height of this love is that it comes from Jesus. Love is the greatest gift of His Spirit. Therefore, in order to have this love we have to stay close to Jesus. We have to pray for love that is patient, understanding, kind, sympathetic, forgiving, and pure. The depth of His love is that it loves in good times and bad, in sickness and in health, when things are going badly or when things are going well. This Christian love, loves the unloveable, forgives the unforgivable, reaches the unreachable and touches the untouchable. The breadth of this love is that it loves everyone friend or foe, black or white, Christian or non, old and young. It loves those who hurt us and disappoint us and speak ill of us. The length of this love is that it keeps on loving, even in the face of trial, rejection, and hurt. The third powerful key to successful marriage is the Eucharist. The Eucharist feeds and nurtures, strengthens and protects married love. 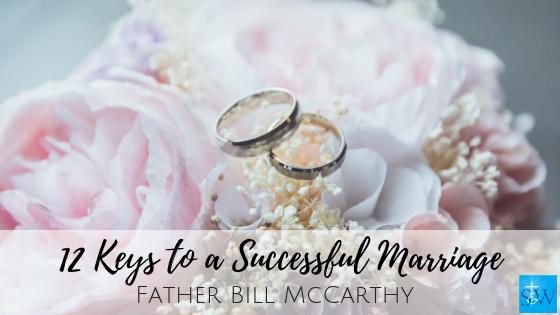 One powerful bit of advice to give to every married couple is to try to go to Mass every day for their marriage and for their spouse and for their children. Jesus says, “With all of the earnestness I possess, I tell you this, unless you feed on the flesh of the Son of Man and drink His blood, you have no life in you.” Young people use the expression, “Get a life.” Jesus says, “I am the life.” To paraphrase Jesus: “The more you feed on me, the more I will nurture your love and strengthen your marriage.” For in the Eucharist, there is patience and understanding, compassion, sensitivity, caring, love, love, forgiveness, purity, ecstasy, and delight. The more you allow Me to work in you and through you with with my wisdom and love, the more you will love your spouse. All of us realize that whenever you put two people together, there will be lack of in-depth communication. Each of us sees life through our own perspective–the perspective of no two of us alike. In fact, each of us sees life very differently at age ten, at age twenty, at age thirty, and so forth. And yet, there are some keys to helping us communicate better. First, look at some of the root causes of hurt that infiltrate the communication process. Fear of rejection. One of the main reasons for lack of communication is that people are often afraid. They fear that if they take off their masks and showed the real me to their spouse, they no longer would be accepted. Wary of criticism. Another block to communication is fear of criticism if one spouse opens up to the other and reveals how he or she really feels. However, by not taking that risk, the spouses turn each other into “an acquaintance” and not really an intimate friend. Family background. Another reason is that many people have never learned in their families how to communicate well. Many families communicate through verbal abuse, through put-downs, through silence, and through constant jokes. Fatigue. Another reason is that a person is fatigued, burnt our or tired. In such a state, their ability to communicate or to listen is impaired. Distracted and disinterested. Another reason for lack of communication is that the person is not interested enough to really listen or want to discuss. Sports, for example, has caused many, many men to become distracted and disinterested in family matters. The truth is that good communication needs to be learned. There are no short cuts. It is a complex process, but there are some keys or dos and don’ts to communication that we can acquire. After all, communication is more than dispensing information. It is dialogue, an exchange of ideas and opinions in an atmosphere of acceptance and understanding. Into every marriage there comes misunderstanding, hurt, disappointment, and even betrayal and rejection. We are all broken human beings. As the song goes, “You always hurt the one you love, the one you shouldn’t hurt at all.” Every couple must learn to forgive, and then try to forget. Every married person should go to confession frequently so that they can be cleansed of all sin and guilt. My own mother and father used to hold each other and say the Our Father every evening. They they would forgive each other for whatever grievances that day had brought. Forgive, forgive, forgive. Seventy times seven, forgive. Life is too short to hang on to bitterness and resentment, so forgive. Keep your priorities in order: 1) Jesus, 2) spouse, 3) children, 4) work, etc. The best thing you can do for your spouse is to love Jesus. And the best thing you can do for your children is to love their mother and father. Women should try not to work outside of the home. If they do work, they should try to make sure that work does not interfere with their primary responsibilities. From time to time, write down a weekly schedule setting aside time for Jesus, your spouse and each child. With schedules often fragmented today, you need to consciously search for occasions to share your thoughts, hopes, joys and disappointments. There is a time for everything under heaven, especially for fun and enjoying life! God, in His goodness, wants what is best for each of us, and that means finding bliss in the fruits of this life that are all around us. The problem is that in today’s hurries, busy society, quality time is hard to find. More often than not, we have to make time for these moments that ultimately give real meaning to our lives. For the truth is that the moments that make life worth living are typically found in the ordinary–and not the extraordinary–events of our lives. One way to find this time is to share experiences. This can be through any assortment of events such as hobbies, interests, work and pleasure. Entertaining friends and family, gardening, camping together, card-playing, attendance at religious and civic events, reading and discussing books, working on community or school projects. All these and more can be shared by couples to strengthen and deepen bonds. Enjoy one another. A well-known psychiatrist was asked, “What is the most important thing parents can do for children (and for each other)?” His answer: “Enjoy each other.” It is not as simple as it sounds. To enjoy those people closest to you requires that you first see them as they realistically are, then that you accept them and delight in the special uniqueness which is theirs. What a gift to give others–your enjoyment of them! Laugh more, especially with each other. It’s good for the soul. The doctors say it may even prevent illness. It is also the magic balm that can heal a hurt, ease a tension, dissipate an argument and deepen friendship. A sense of humor and the ability to laugh at human foibles–our own as well as those of others–help us to believe that life is indeed “worth living.” Humor, with its quiet smiles and boisterous laughs, serves to bring sunshine to offset the days of clouds and darkness. It also enables us to be serious about life without being gloomy. One of the deepest needs of the human heart is to be appreciated, loved and affirmed. Nothing in life has such a fatal result as the experience of not being loves and affirmed. Every human being needs to be affirmed. Affirm each other. There are many ways to communicate affirming thoughts, words, glances, physical affection, and laughter. Find many ways to say “I love you,” such as a smile, a hug, a kiss, an unexpected gift, a personal card, a love not hidden in the lunchbox, a little note on the bathroom mirror. There are literally thousands of ways to tell each other how special, unique, wonderful, fantastic and loved they are. Each one of us is a unique, irreplaceable masterpiece. Each spouse should communicate that in thousands of affirming ways. Another great key to married success is ongoing conversion. We are here to grow, to receive more of the light of revelation, so that first, we may understand the beauty and dignity of marriage, sexuality and married love. Most married people are not fully aware of the holiness that God has intended for married people. To marry a person in God’s eyes is to make a commitment to ongoing conversion from ego-controlled living to Spirit-controlled living. Every married person needs to meditate, to pray, go to confession frequently, to receive the Eucharist as often as possible. Every married person needs to learn how to humbly admit their faults and to speak the truth in love to their spouse. Every married person needs to learn to say, “I was wrong, honey, please forgive me. I am sorry.” Every married person needs to learn to be more and more open to God’s Spirit so that their minds will be filled with ongoing revelation from Jesus Himself, and their hearts may be inflamed more and more with that love that only He can give. Another great key is the use of sacramentals to reminds us of the presence of God, of Mary, of the saints, and of the Spirit. God has given to married couples the use of sacramentals. Every home should have at least one crucifix hung in a prominent place. Every home should be enthroned to the Sacred Heart of Jesus. He promised that He would bless every home where His image was displayed. Every home should have a little altar with a statue of Mary, Our Mother. Every home should have a little library of sacred books. The main door should have a holy water fond nearby. Every father should bless his family with holy water. And both parents should anoint their children with blessed oil, especially when they are sick. Blessed salt is another sacramental used to bless and to cast out evil. There are so many beautiful paintings of the Holy Family, various saints, and Jesus Himself that could be hung in different rooms throughout the house as reminders of God’s presence and of the necessity to pray. A Sacrament. Marriage is a sacrament because in and through the human love, a couple comes to an awareness and appreciation of God’s marvelous love for them. To experience that this man and this woman could so love me as they do in a real way points me beyond them to the love of God for me made perfect in Jesus Christ. Just as every Christian is a sacrament, that is an outward sign instituted by Christ to give grace, so also is every marriage. In and through their human love they can experience the tenderness, the gentleness, the forgiveness and the delight of God’s marvelous love for them. Since all of us are broken and constantly in need of wise counsel, every married person should have some Christian counselor, friend in the Lord, or spiritual director to whom they can go for advice, support, and affirmation. It is a wise couple who invites their parish priest to bless their house and, from time to time, to share a family meal with them. 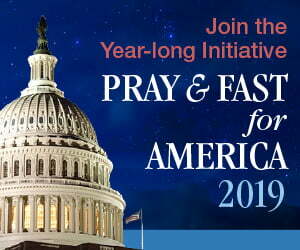 It is also recommended that every couple become personally involved in movements such as the Marriage Encounter, the Cursillo, the Christian Family Movement (CFM), charismatic, and Marian. Many couples have found strength and guidance from a prayer group or support group. It is a wise couple that thinks seriously about making a yearly retreat. Most movements of these kinds depend chiefly on lay persons to organize, host, promote and speak. By shared experiences, everyone benefits. Christian marriage was meant by God to be lives out within the context of the extended family and within the Church family. That’s why St. Paul writes, ” it is for this reason that I kneel before the Father from whom every family both spiritual (the Church) and natural (the home) takes is name, which in the Biblical tradition means its lifestyle, its power and its love. Just as the eye apart from the face becomes grotesque, so also is a couple alone without the support of father, mother, brothers, sisters, priest, and friends. Just as no man is an island, so also no family should be.